I didn’t realize how much I really enjoyed the food in Turkey until recently, when I walked into a Turkish restaurant in New York City for dinner. Bite by bite, it all came back. 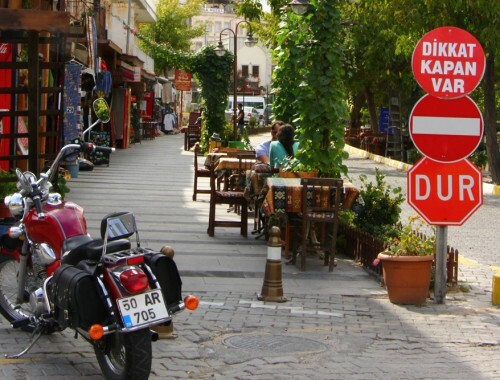 The flavors, the scents, the feeling of traveling in Turkey. As we sat down at our table for two I scanned the menu feverishly, instantly locating dishes we’d eaten during our time in Istanbul and Cappadocia. In true Annie fashion, I screamed out “Matt! They have X!” or “oooooooh, I remember X!” in excitement and glee (both statements Matt loves having screamed at him clearly). Ok, so maybe I didn’t need to get loud, but I was excited to taste these dishes again. Not to mention, Matt could actually eat the local and traditional cuisine in Turkey without worry – a big reason to love a place for me. One bite of buttery tomato sauce over tender lamb in New York and I was instantly back in Turkey, tasting the flavors that I had forgotten I loved. Kebap (Kebab) is one of the most popular Turkish dishes – something you’d be hard pressed to find missing in most Turkish restaurants. It is simply meat grilled near a fire, served either on a skewer, on a plate, or wrapped up like a baby. 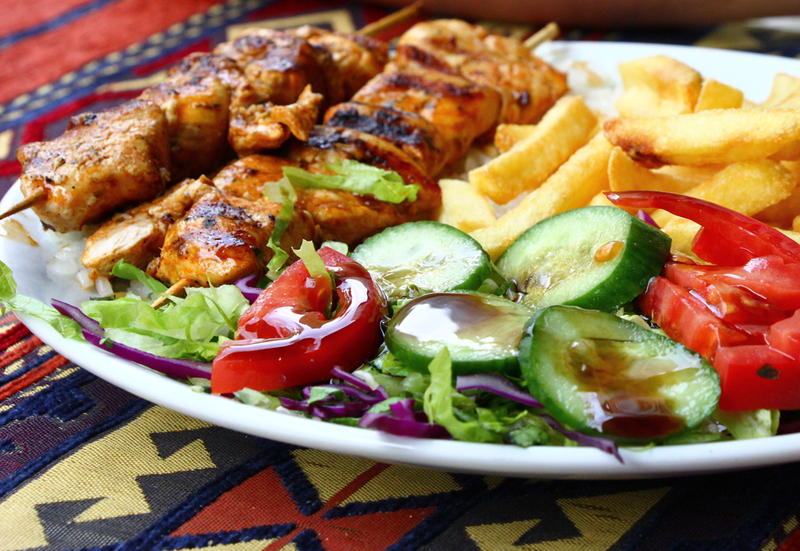 Each kebab dish (and there are many) requires different ingredients, different cuts of meat with differing fat content, special sauces, and spices. So really, even though they are all kebabs, each are quite different. Here are some of our favorites. 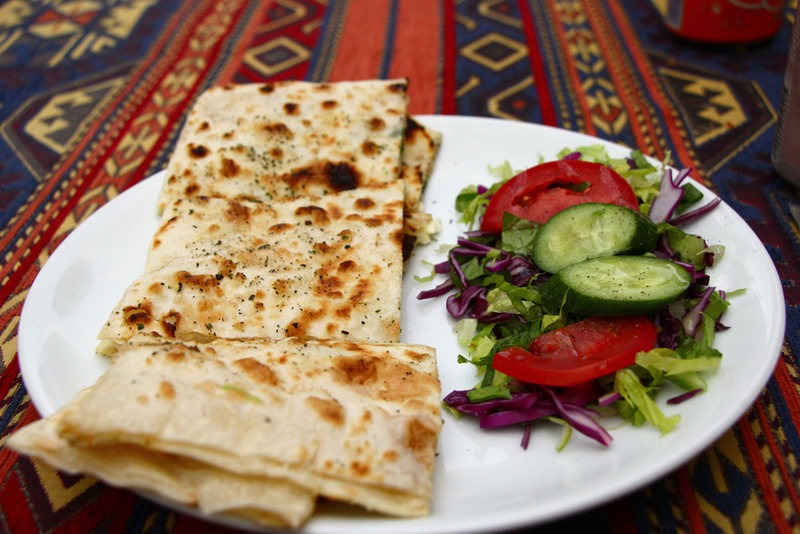 This is the Turkish national dish. Kinda like pizza being the “national” dish of New York City. It is ubiquitous and an important piece of local culture. It is also possibly one of the most satisfying street food items I’ve eaten. Döner is very similar to the Greek Gyro or a Shawarma – delicious meat turning on a spit, sliced thin, and folded into a pillowy wrap. 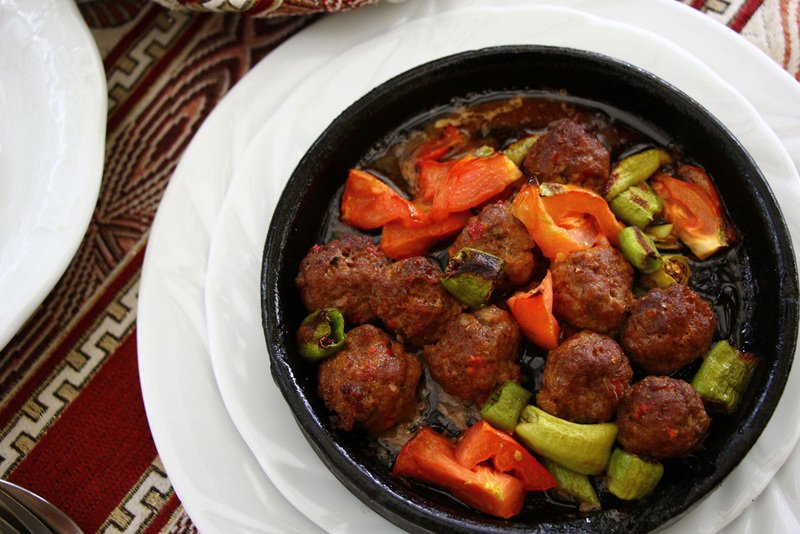 Şiş Kebap (shish kebab) is fairly well known and very simple to make in theory. With the right spices and the right piece of tender meat, this is always a favorite. Also it’s light, as far as meat dishes go. 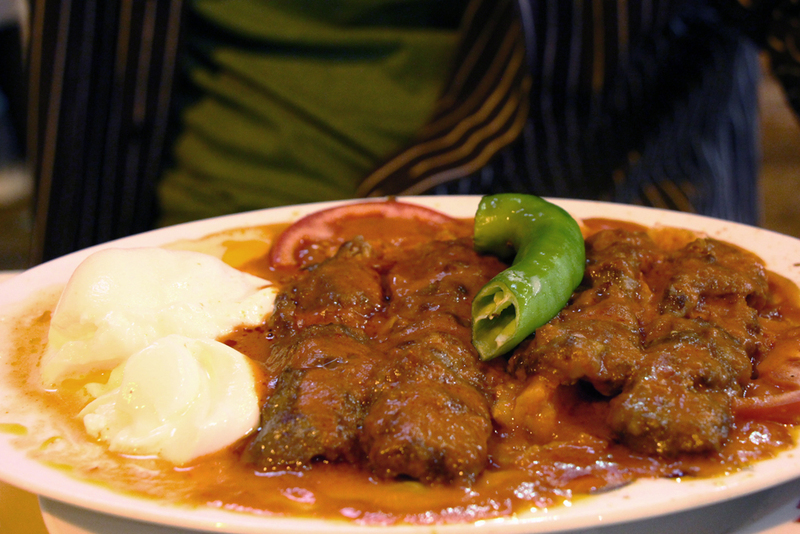 This kebab is much more rich and hearty than its other kebab friends. Here, the meat is sliced thin and draped on top of croutons of pide (just wait to find out what this is) bread and then smothered in tomato sauce and browned butter. 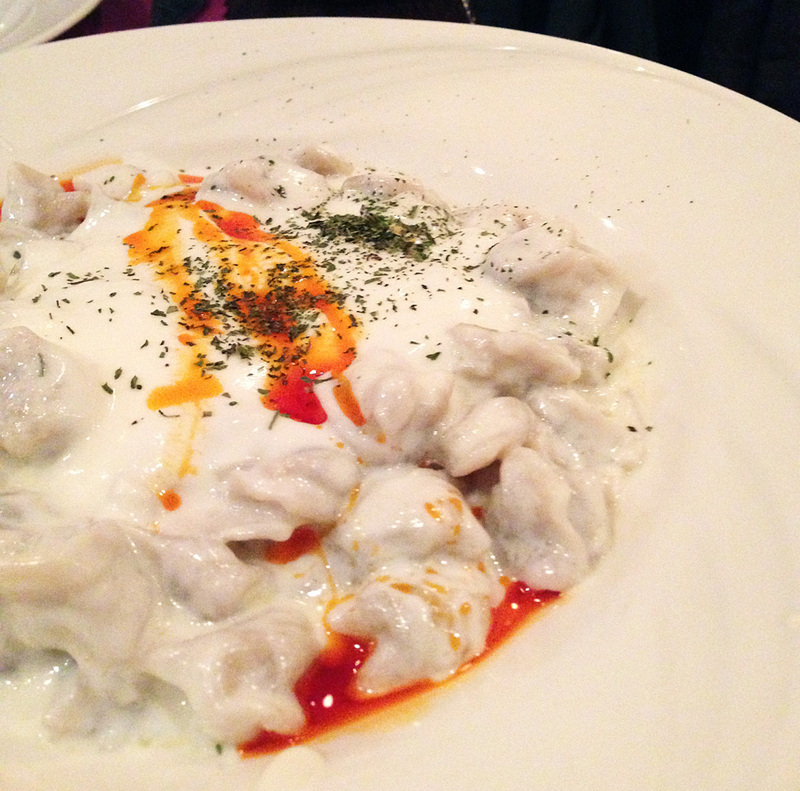 On the side – a healthy serving of yogurt to cool down the hot pepper on top and cut the heartiness of the meat. This one is really special and absolutely worth a taste. The list of kebabs go on, but these were our staples. We also tried Testi Kebap – a Cappdocian kebab served in a ceramic pot (which is actually sealed during cooking and broken at your table in front of you), but it was sadly enjoyed on a night I chose to go out to eat sans-Canon. 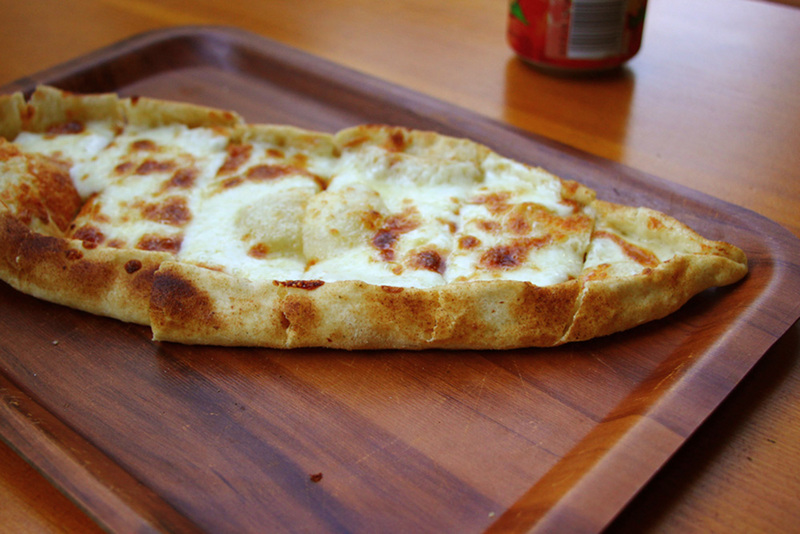 Oh, Pide. You are so similar to my New York pizza. You are baked in a hot oven with scorching fires that char your dough to a chewy and crispy perfection. You are easily folded for eating, as you are thin and sliced into manageable pieces. 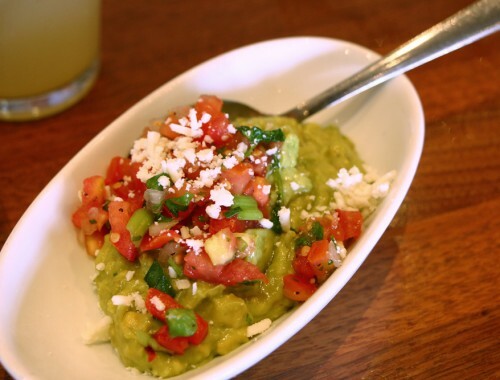 You come with lots of different toppings. You are thoroughly enjoyed for breakfast, lunch, dinner, and late night snack. So similar you two are! I would love to introduce you to my city of New York. I think you would get along so well. 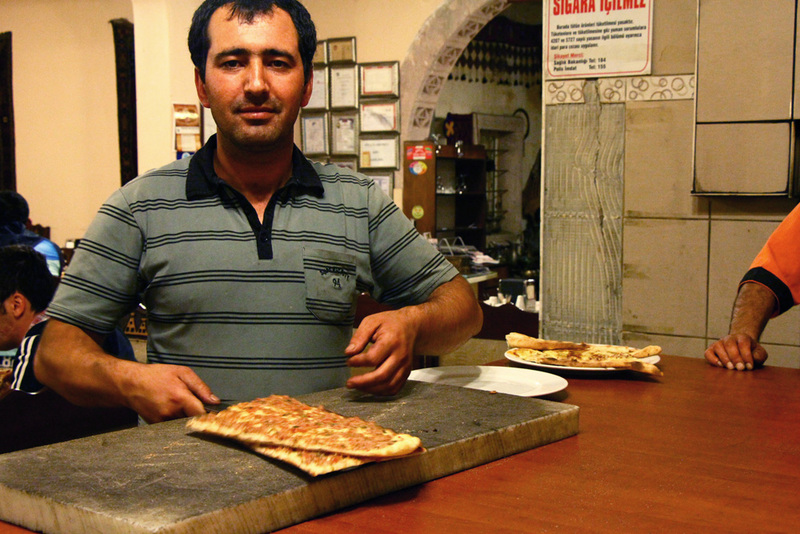 Think Turkish quesadilla but a lot more square. This one is filled with a local farmer’s cheese and chopped parsley. Fresh, clean, and comforting. These Turkish meatballs are slightly smaller then my beloved Greek keftedes. Here they are cooked a cast iron pan and served with peppers and tomatoes. A mess of little plates of vegetables and dips and fried seafood and sauteed greens. It’s not an uncommon idea – small plates exist in so many countries. They are certainly this traveling girl’s best friend. A few can make up a nice small meal. A lot can be a feast of different flavors. You didn’t think I’d go all the way to Turkey and not eat toast did you? 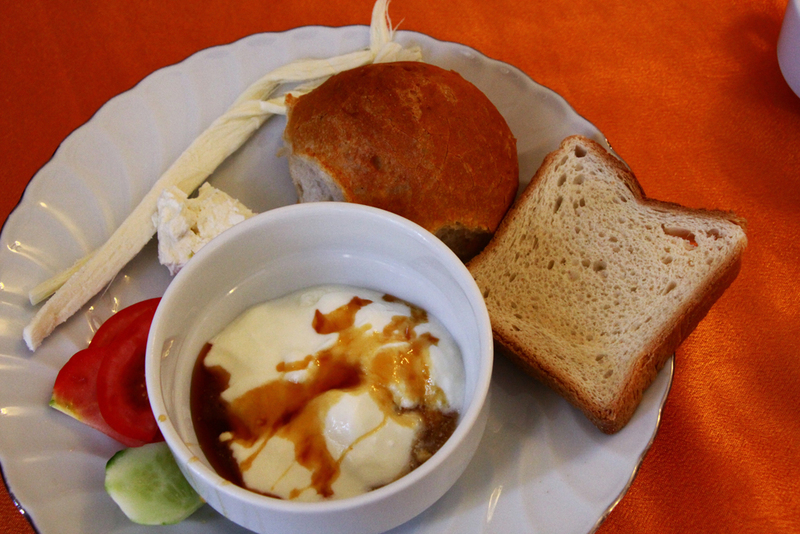 Well, toast really isn’t the spotlight in a Turkish breakfast, but it is a nice addition. Typical breakfast for us was a pot of yogurt with honey, cheese, tomato and cucumbers, with a side of either figs and/or, well, toast. I did not eat this. I couldn’t – look at it. It is smothered in sesame seeds. 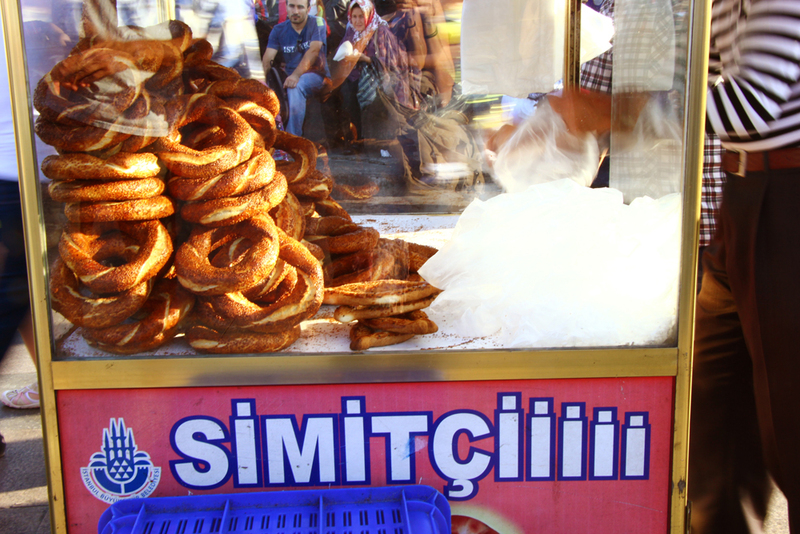 It is, however, ubiquitous in Turkey. It’s a common snack – kinda like a pretzel. Or a churro. But covered with millions of little sesames. On the plus side, they sure were pretty to look at . And in my glass….there were a few things. Black tea is everywhere. It’s a social thing, a cultural thing, a business thing. It’s common to see small glasses of black tea being shuttled around busy bazaars and streets going from business to business on metal trays. A break for tea is also a reason to linger at a cafe in the afternoon. We came home with a pair of glasses/saucers/spoons just like the one pictured below. The glasses are significantly smaller than my favorite panda mug at home, but it’s nice to remember to savor the flavor than to guzzle down caffeine first thing in the morning. I only recently became a fan of good coffee. Before The Trip I would clap with glee at the wateriness of a good homemade cup of Nescafe. Now – I crave the thickness of a good Greek coffee or the richness of a well made Colombian or Costa Rican cup. 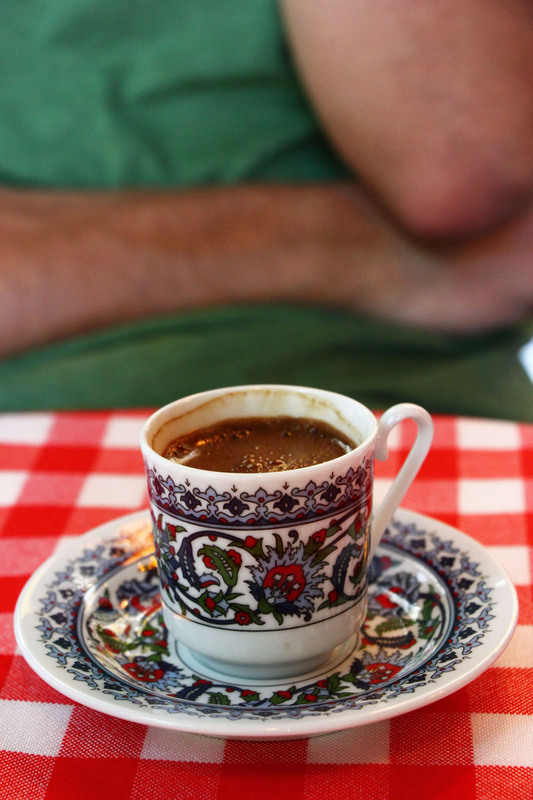 Turkish coffee has now added itself to the list of my coffee cravings. The gritty bottom layer of pulverized beans gives it so much flavor and almost turns it into a snack. 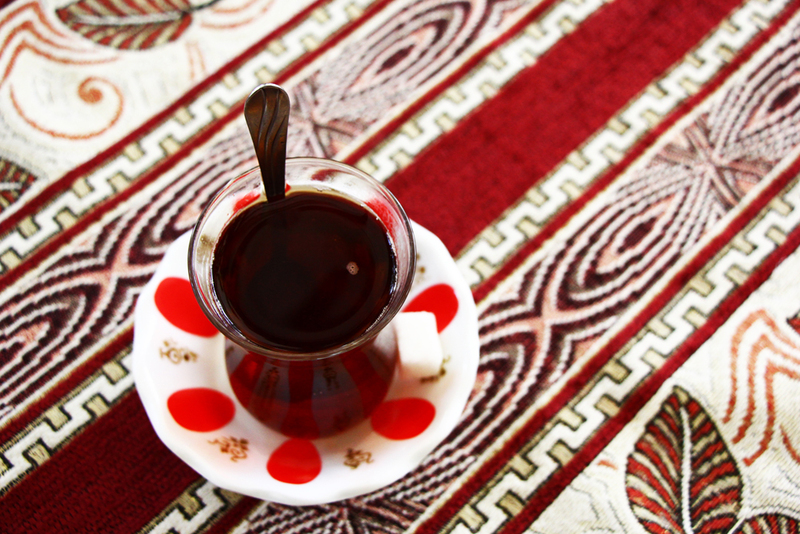 It was especially tasty on a cold evening after road tripping around Cappadocia. Then, of course, there is Turkey’s alcohol selection. For me, wine always at the top of my list. I’ll save our wine experience in Cappadocia for another article. It was too special to cram in here. But I will say that Turkey should be next on the up-and-coming wine region list. They’ve got a solid history in wine making and some really interesting grapes of their own. 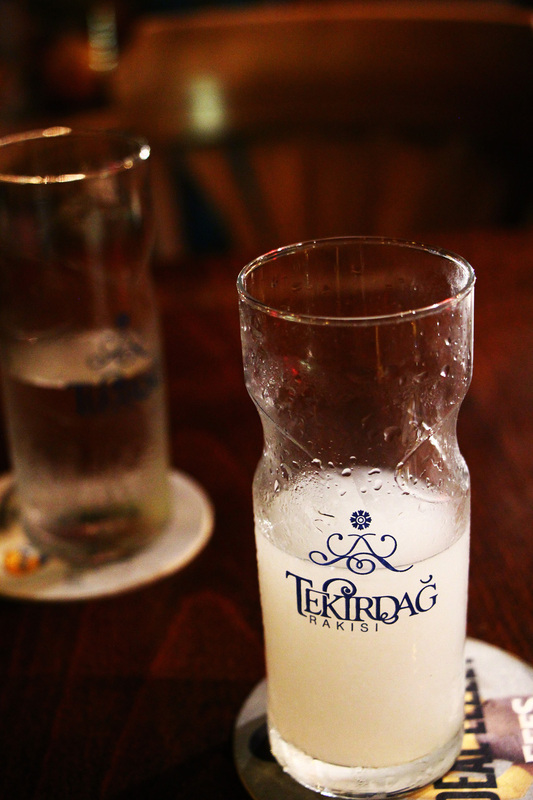 Raki wasn’t just a Turkish novelty for me. Just like Ouzo changed my drinking world when I got home, Raki did the same, adding a slightly less sweet licorice spirit to my liquor cabinet. Not to mention, its easy to find the right mixer for this drink. All you need is water and some ice. 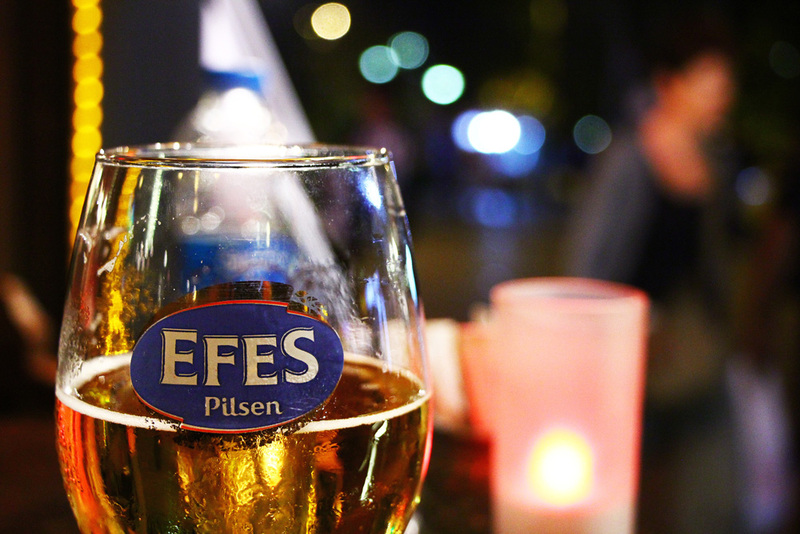 For a cold beer, Efes was our brew of choice. (not that there was that much of one, if sticking with a local label) But it always was the right way to end a long day of travel or start a night of wandering. 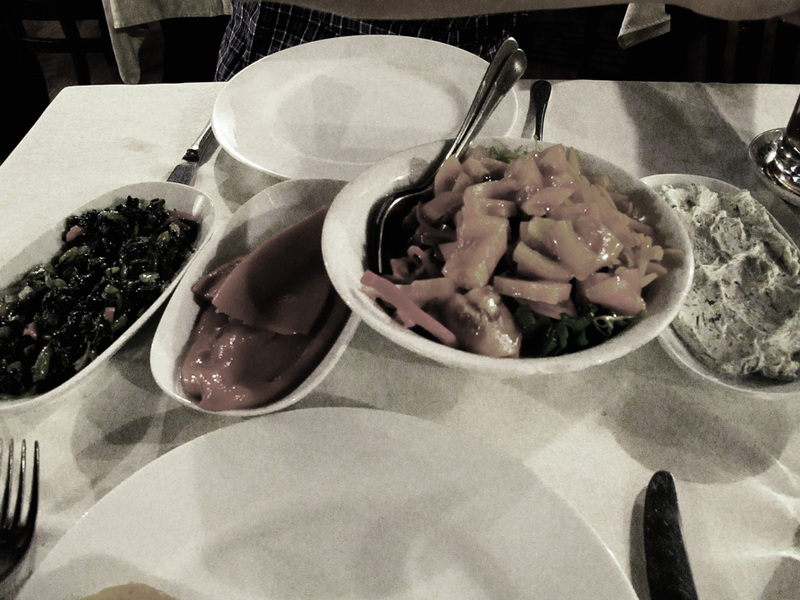 Turkish food is too pretty-and delicious-not to photograph! glad you enjoyed! 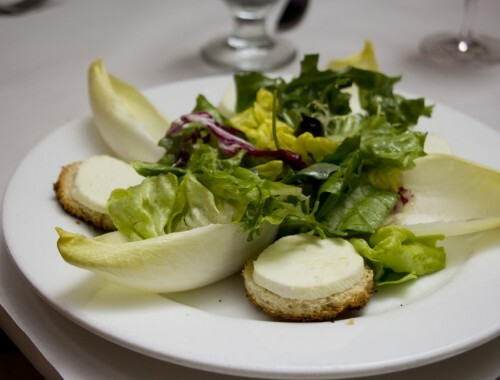 This article is absolutely mouthwatering! We’ll be in Istanbul for all of 12 hours (I know, I know) in November, but I plan to eat my way through as much of the city as I can! We’re a bit coffee obsessed in my house, so trying some authentic Turkish coffee is high on my list! THank you! You are going to love Istanbul. Make sure you get a doner kebap and if possible some manti! Its really that amazing! The coffee is deliciously thick too. 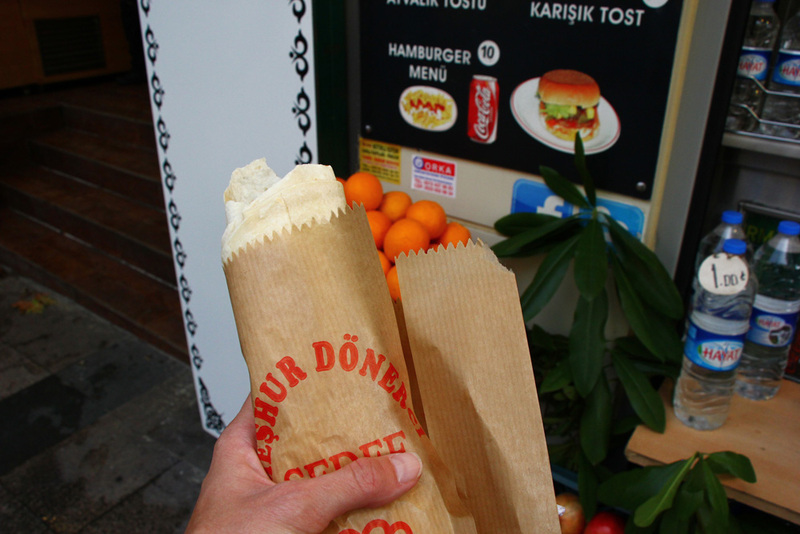 Hi Hungryboy,I remember eaintg the best kebab in Turkey. The food in Istanbul was just so good and so tasty.My hubby tried a kebab in S’pore but did not like it because it did not taste authentic. 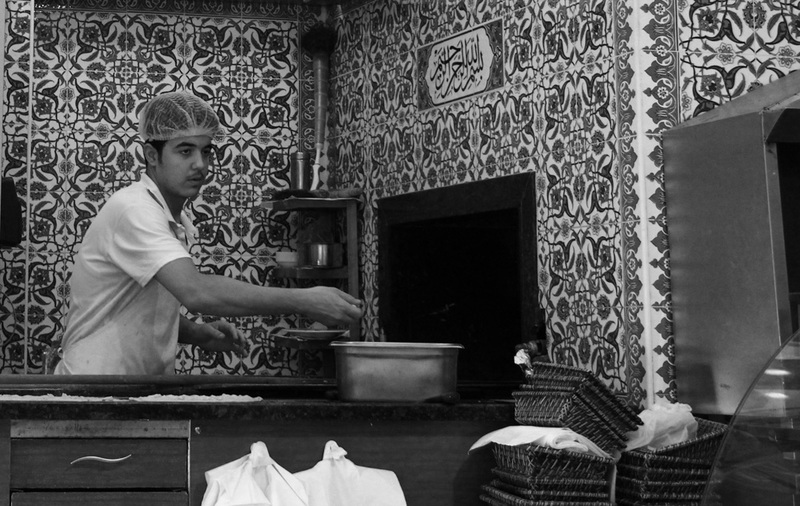 We were living in Geneva for many years and were able to eat good kebabs there. 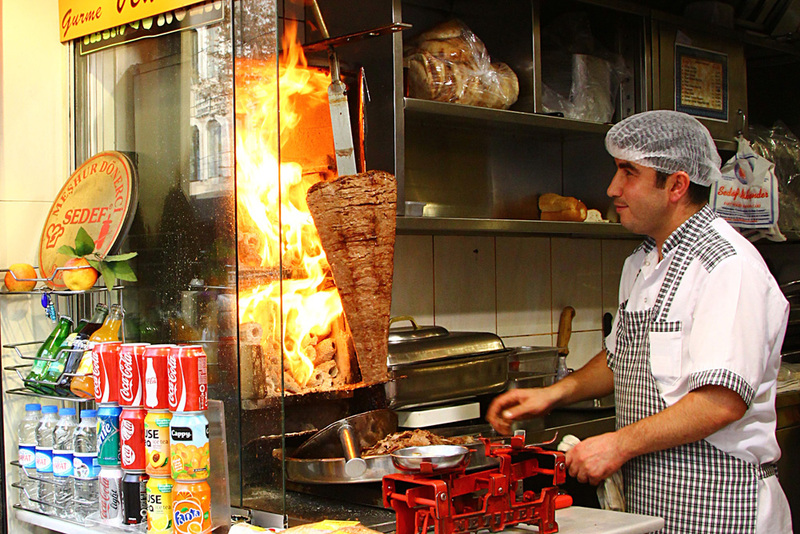 If you happen to be in GVA for work or leisure and have a craving for kebabs or shawarmas you can go to Rue de Berne in the area of Paquis where there are quite a few turkish and lebanese eateries:Istanbul Kebab29 rue de Berne1201 Geneva(good lamb or chicken kebabs)Marmara23 rue de Berne(IMO, even better kebabs and good karniyakik)Parfums de Beyrouth18 rue de Berne(delicious lamb shawarmas, but mv favourite is the veal tongue shawarma prepared with just sliced onions, olive oil, salt and pepper. Very popular place.) Cheers.